Not too long ago, inventors and entrepreneurs had limited options available to them in regards to exhibiting their products at tradeshows. They could either attend one of the smaller inventor-related tradeshows, or they could go to a large national product tradeshow and exhibit alongside large, established companies. The first option offered very limited exposure for their product, and the second option was both expensive and difficult, requiring professional booth design, collateral materials, and a well-thought tradeshow strategy. Today, the landscape for inventors is changing. Inventor only tradeshows and exhibiting in the main areas of large national product tradeshows is fading away fast and being replaced with the new “micro-show” trend in the tradeshow industry. Many of the national tradeshows such as the International Home and Housewares Show (IHHS), National Hardware Show (NHS), Response Expo and the Specialty Retail Entrepreneur Expo (SPREE) have adopted the “micro-show” concept, offering huge benefits by allowing independent inventors to exhibit in a consolidated area designed specifically for inventors and entrepreneurs. These inventor areas concentrate inventors in one specific location of the overall tradeshow, making it easier for companies attending the show to find them. These areas become a “destination point” for companies, providing far more exposure to inventors. In addition, it is much cheaper to exhibit as an inventor in these areas than it would be to obtain a larger booth on the main tradeshow floor. The Inventors booths are a turnkey solution to inventors which includes furniture, signage, and marketing of the booth location. In addition, these shows have inventor area organizers (Brainchild Marketing at IHHS and Response Expo and the United Inventors Association at NHS and SPREE) on site to help the inventors with show details and act as a trusted source of information throughout the show. As these large national tradeshows realize the added value that inventors bring to their overall show, they are looking for ways to entice more inventors to attend. 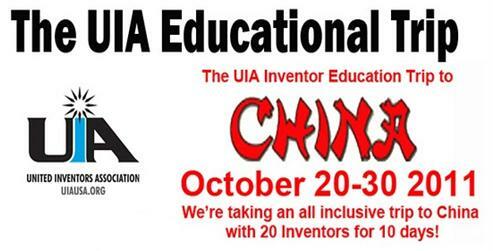 To increase the overall value for inventors, many shows now offer inventor education seminars and face-to-face opportunities for inventors to “pitch” their products to key companies in attendance. If you are considering exhibiting at one of these show you should consider having a patent application on file with the USPTO (either a provisional or non-provisional application) before exhibiting. In addition, in order to maximize opportunities at the show, you should also have a good, demonstrable prototype or finished product presentation for buyers to evaluate. For help with your invention call 1-866-844-6512! Inventor Mike Esposito invented the Vertical Grill to solve the problem of grease drippings creating smoke flare-ups that leave carcinogens on the food. The Vertical Grill was designed so that grease drippings fall into a basin at the bottom of the grill. Food is placed in a custom grilling basket and hung between two charcoal heating columns. This also enables the food to be cooked on both sides simultaneously in half the time as conventional grilling. 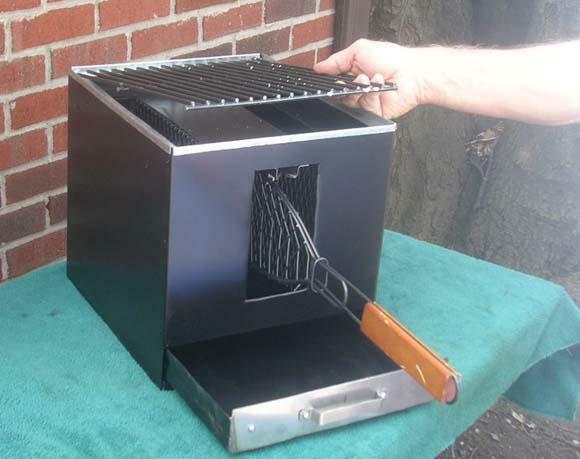 The Grill also has a standard grilling surface at the top which is ideal for toasting buns or roasting corn on the cob. To learn how to license Mike’s Vertical Grill, please contact the marketing department (member@inventionhome.com) at InventionHome. SnuggieTM creator breaks ground on new product infomercial Allstar Marketing Group is well-known for creating successful TV products such as the SnuggieTM, the Topsy Turvy®, and the Perfect BrownieTM. We’re hopeful that their next big success will have roots with InventionHome. The infomercial giant recently licensed an InventionHome product, and they are slated to begin production on the infomercial in early May. Although we can’t disclose product details at this time (we’re sworn to secrecy), we CAN provide a list of criteria that are used to evaluate a products’ potential infomercial success. If you believe that your invention would make a good infomercial product, InventionHome can help approach Allstar and other companies seeking new, TV-worthy items. Are you an inventor with an awesome product or entrepreneur with a stellar business idea? If so, Mark Burnett Productions, creator of smash television hits, “Survivor” and “The Apprentice” would love to hear from you. The new show called “Shark Tank”, scheduled to air this fall on ABC, is a primetime opportunity for you to pitch your idea/product to a panel of five, tough judges and millions of television viewers. By the way, the show isn’t called “Shark Tank” because the producers weren’t able to come up with a better name. Applicants chosen as contestants must convince a panel of five savvy sharks to invest in their product/idea versus the others. Invention Home announces their “Invention of the Week”, “Dog Hats”. Independent inventor Irene Bray wanted her dogs to strut their stuff in style AND comfort…and she enlisted the help of Invention Home to assist her in finding marketing/licensing opportunities for her invention, “Dog Hats”. Do you like to dress your pet, but feel that the look just isn’t complete without a hat? Inventor Irene Bray likes her pets to be dressed for success, and tried other dog hats/accessories on the market but found them difficult to attach. Irene noticed that they didn’t properly secure to the pet’s head and would fall off with any moderate movement. Not so with “Dog Hats”! In addition, many standard pet hat fasteners are uncomfortable for the dog; the dog will squirm and resist the accessory, making everyone frustrated. Not so with “Dog Hats”! While some existing hats are designed to fit securely, their harness attachments are cumbersome and so noticeable that they take away from the fun aesthetic design of the hat. Not so with “Dog Hats”! This invention features two adjustable, elasticized straps, which are designed to criss-cross under the dog’s chin and are fastened to the hat in front of and behind each ear. They are fully adjustable to fit very large dogs as well as very small dogs and even cats! Dog Hats may be offered in many sizes and designs. Irene has an issued Utility Patent as well samples available.